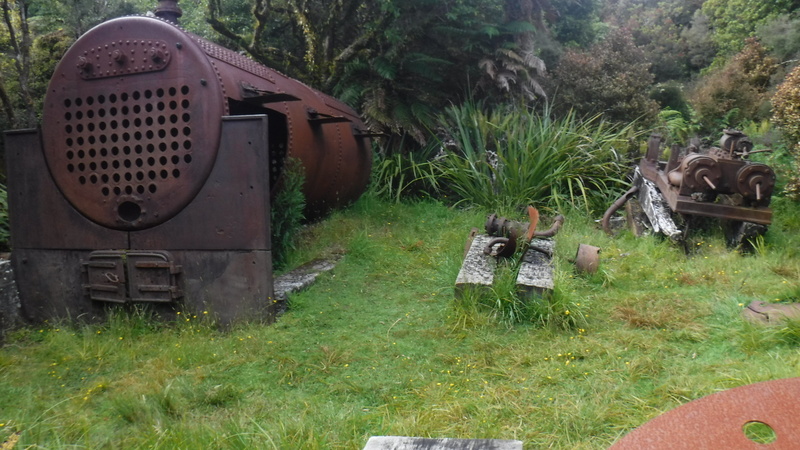 The Rakiura Track is our sixth Great Walk. We flew into Oban on Boxing Day, grabbed lunch, and picked up our hut passes at the DOC Visitor Centre. Oban settlement is small and walkable with the trailhead a few kilometres north of town. We reached the official start by 4:30pm. With sunset at 10pm we took our time walking the 11km to North Arm. The first section took us through kamahi and rimu forest with gentle inclines until Sawdust Bay. There is a noticeable lack of tall trees here since they were logged until the 1920s. At Sawdust Bay the track turns north and we followed the inlet to North Arm Hut. There were some steep sections toward the end of the day and we were happy to reach our destination. The next morning we started late at 9:15am. Day two was 13 kilometers. To be honest, I found this section monotonous. There were no stunning views, the track was muddy, and the only sites along the way were old boilers from the logging days. There is a steep section 2/3 of the way into the 13km. Once we completed that, there was a descent to Port William Hut, about 40 minutes off the main track. We reached it by 1:30pm and spent the rest of the day relaxing. Port William Hut is on a picturesque beach and was the perfect place to while away a few hours with a book. In the evening we saw some birdlife including New Zealand pigeons, tomtits, tuis, and fantails. Unfortunately the kiwi eluded us. Thursday was our last day on the Rakiura Track. We left Port William before 9am. This was my favourite day since there was plenty to see and convenient places to stop for water breaks. Our legs quickly got warmed up with the 40-minute incline back to the main track. Then it was another 2km to Maori beach were we saw bird tracks of all sorts in the sand. We were convinced one set was kiwi tracks and spent some time following them. Unfortunately we did not find New Zealand’s iconic bird, but I enjoyed the stroll on the beach. After that it was another 5km through the bush to Lee Bay. This is officially where the Great Walk ends, but we continued to walk another 5km to town. 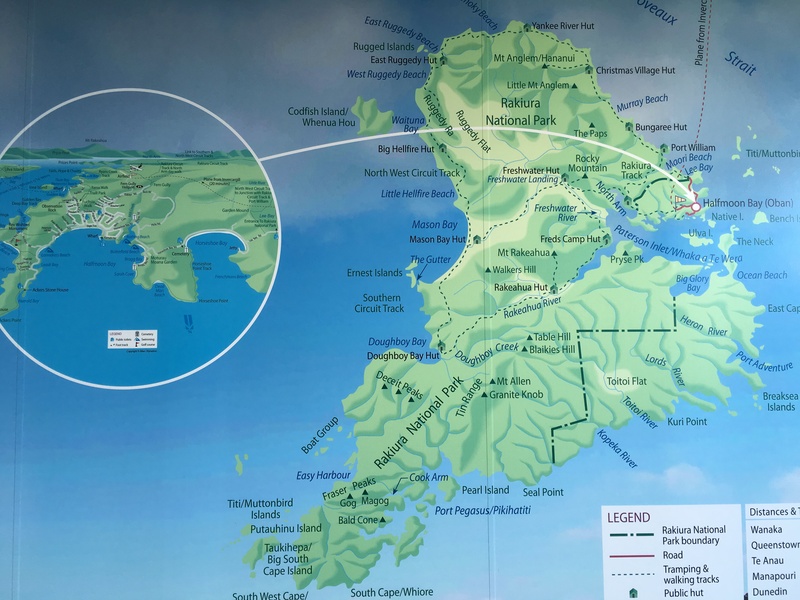 Overall, Stewart Island’s remoteness made this Great Walk time consuming to get to – there were three plane rides to reach Oban. However, once we got there it was nice to be able to walk to the trail’s start and finish from town. We did not have to organize a shuttle or taxi to reach the trailhead. 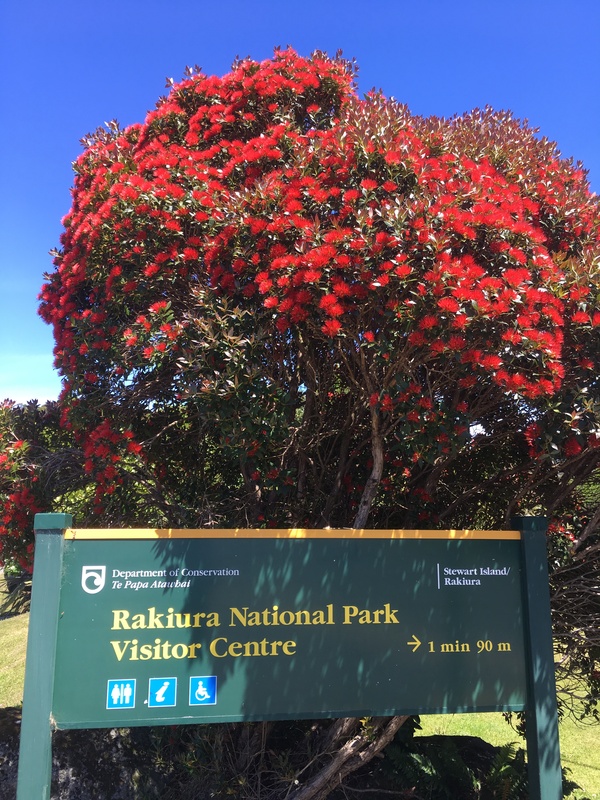 During the hike we learned that the Rakiura Trail is part of a larger loop; the North West Circuit covers 125km in 9-11 days. Many of the people staying in the huts were completing the larger tramp. We also figured out that Maori Beach campsite is the most likely place on the Rakiura Track to sight kiwi birds. If we are to go again, I’d want to hike into Maori Beach and camp there for a night or two, preferably when the sunset is earlier so I don’t have to stay up until 10pm to start kiwi hunting.